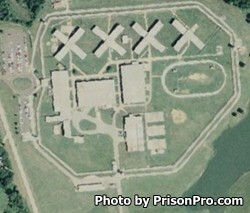 Vienna Correctional Center is located in Johnson County Illinois. It is a minimum security correctional facility that can house 1,969 adult male inmates. Vienna Correctional Center also manages Dixon Springs Impact Incarceration Program. A variety of educational and vocational programs helps offenders gain new skills they can use for the rest of their lives. Inmates incarcerated at Vienna Correctional Center can earn an adult basic education and GED. Offenders can also participate in vocational studies that include auto body and mechanical repair, cosmetology, various construction disciplines, custodial work, horticulture, barbering, culinary arts, and more. Offenders are also encouraged to take anger management and life skills courses, substance abuse treatment and re-entry programs that help inmates prepare for release. Visits are everyday from 8:30am-7pm. You must arrive and be processed prior to 6pm or you will not be allowed to visit. Inmates can have seven visits per month, only three of the visits can be on the weekend or a holiday.